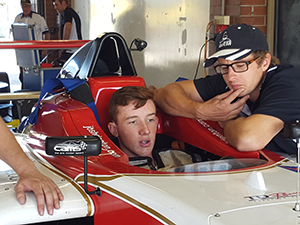 StPatsTech Year 11 Automotive student, Josh Denton, has been making quite an impact on the Australian junior Motorsport scene. 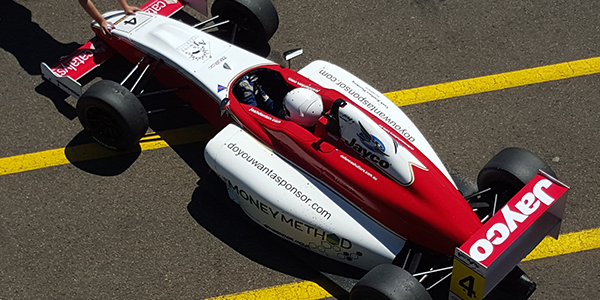 Josh recently impressed in his first official testing for the CAMS Jayco Australian Formula 4 Championship at Sydney Motorsport Park. Testing with the Championship Winning BRM team from South Australia, Josh was immediately comfortable in the car, setting very impressive times for his first test. It was the first time Josh has driven around Sydney Motorsport Park and the first time he has been able to sample the full aero effects of these cars. “It’s been really good so far. We went out for the first session, focusing on getting used to the car and my driving techniques, my lines, braking pressure and throttle application,” Denton said. It was only a matter of laps before Josh took on the notorious first corner at full speed, surprising many. “Rookie, Josh Denton, did a fantastic job in his first full day in the F4 car surprising quite a few people with his speed straight away,” reported team BRM. Over the course of the day Josh worked on his driving technique and familiarity with the team providing team engineers with valuable feedback. Changes were made to the set-up of the car and Josh was able to immediately put them into effect. BRM team manager, Mark Rundle was impressed by Josh’s first outing. 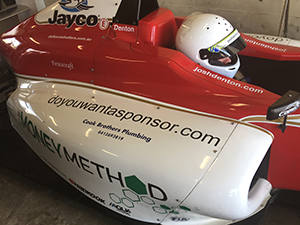 “Josh was extremely impressive in his first proper test day in the Formula 4. His fitness, ability to take what his engineers where teaching him and put it into practice in the car was well past the level of someone having their first day in the car. He was faster than a number of more experienced drivers and only around 4 tenths off the fastest time for the day. I am really looking forward to seeing how Josh progresses. He definitely has the potential to be a future star – no question,” commented Mark. Having shown his potential Josh is focused on training whilst budgets are finalised in readiness for the 2016 six-round championship which starts in Tasmania at Symmons Plains, 1-3 April. The world of single-seater racing has undergone a radical shift with the introduction of the CAMS Jayco Australian Formula 4 Championship in 2015. 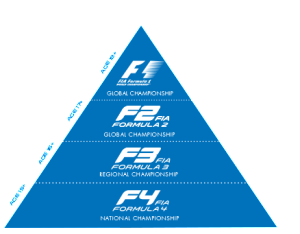 Formula 4 has been developed and certified by the FIA as the pre-eminent open-wheel development category across the globe; the critical step between elite junior karting, Formula 3 and ultimately Formula 1. The over-arching aim of this category is to unearth the next generation of Australian drivers who will make it to the world stage. It is a developmental single seater open-wheel racing category for young drivers who are serious about a pathway to the top of motor sport. It is based on the new FIA international regulations for Formula 4 with a focus on keeping costs down and guaranteeing the highest possible safety standards. It’s built on four cornerstones: technical regulations, organisational standards, sporting regulations, and marketing and communications. This entry was posted in Latest News on 26/02/2016 by St Patrick's Technical College.